Cevdet (Halit Ergenc) is a successful commander of Ottoman Empire who is fighting for his country in Balkans War. Even though he has a hard mission, he never loses his hope and wants to fight to the last drop of his blood. He has a family living in Thessaloniki, including his beautiful wife Azize (Berguzar Korel), his mother Hasibe (Celile Toyon), his adopted son Ali Kemal (Kubilay Aka) and his daughters Hilal (Miray Daner) and Yıldız (Pinar Deniz). Cevdet wants to do his best for his country without thinking about his future. Some of his peers even start to save their lives before the fall of Ottoman Empire. 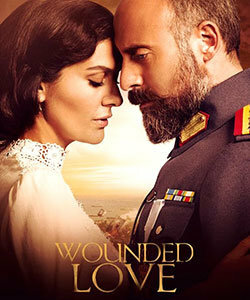 During these hard times, Cevdet is betrayed by his close friend Tevfik (Onur Saylak) and finds himself as captured by allied military soldiers for 8 years. Tevfik, the traitor, secretly loves Azize for a long time and betrays his close friend mainly for this reason. He informs Azize that Cevdet is killed during the war and lets them leave Balkans and move into İzmir, the city in the Aegean region of Turkey. Azize has nothing to do but to leave everything behind and start a new life for her family. She struggles to keep her family together during the most difficult times of her country even though she misses her beloved husband each day. Dogan (Ugur Cavusoglu) and Sahin (Alper Kul) are ottoman soldiers and are taking part in the Ottoman Constantinople conquest during 1453. Surprisingly, they are transported 560 years into the future to present day Istanbul. After they time travel to the future, they encounter familiar faces, and modern-day devices. These two ottoman soldiers try to get used to living in modern Istanbul while they are trying to understand the reason for their time travelling. They realize that Fatih (Ismail Hacioglu) who is the sultan of the Ottoman Empire in 1453 is a police officer in 2013. At the same time, they see that Aksemsettin (Mazhar Alanson) who is the royal teacher and religious sheik in 1453 is a history teacher in 2013. They believe that it is their duty to protect Fatih in order to return to Ottomon period. For this reason, these two men dressed in Ottoman era garments decide to stick with Fatih. Ramazan (Bulent Inal) is a young and handsome man who lives for his honor and fights for justice. He ends up in jail when he kills the Mayor for his injustice. He is exiled to another city and for this reason, he has no choice but to leave his only love Sureyya (Turkan Yilmaz). Ramazan becomes very popular among condemned people. His fame spreads all over the country. Since he protects the rights of poor and downtrodden prisoners, he is considered as a legend. He tries to do his best to change the corrupted order in the prisons. However, he finds it really difficult because the prison administration is also on the corrupted side. Nuran (Sukran Ovali) is a beautiful and innocent girl who lives in a small village in Adana (a city in southern Turkey). She lives with her mother, brother and sister in a small house. She works as a cleaning lady but she never complains about that. She is in love with Resat (Ilker Aksum) who works as a driver at a big farm. Nuran dreams to have a happy life with Resat just like in romantic movies. However, her brother wants her to marry the rich village aga who offers a lot of money in return. Nuran strongly refuses that and for this reason, she is constantly abused by her brother. Eventually, Nuran decides to leave her family behind. She goes to Resat and tells him everthing. They make a plan and decide to go to Istanbul. But, out of pure coincidence, Nuran discovers that Resat has an affair with another woman. That’s why, Nuran becomes all alone in this world and understands that she cannot trust Resat. She never gives up, she still wants to escape from her destiny but she realizes that it would not be so easy. At that night, Nuran escape from her house and goes to the train station. She is alone and she does not know anybody in Istanbul who can help her. But, at some sense, she is lucky enough because there is someone who can help her: Kenan (Cansel Elcin) who is a young producer and director in Istanbul.